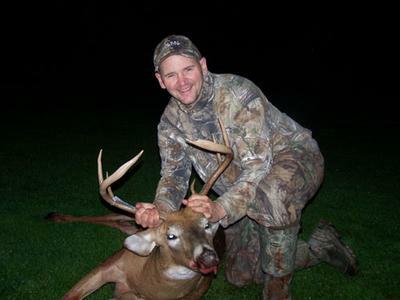 Got this nice main frame 8 point with 4 kickers on 10-09-2012 in Newfane,NY. He was with another smaller 8 point. They were at 60 yards when I decided to give the Primos can a try the Hoffey way. Shot him at 18 yards and went 60 yards and expired. 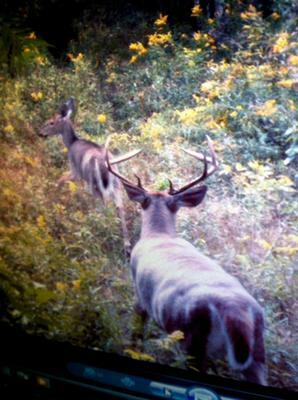 Got him on trail cam 1 week prior. He dressed out at 205lbs!!!! Awesome hunt.